Commercial carpet cleaning and repair. We guarantee your bond back when it comes to carpet cleaning and carpet repair. Are you moving out of your commercial premises? We are here to help you get your bond back and to save you time and money. Do you have bubbles in your office carpet? We do re-stretching. Do you have stains in your carpets? We do professional commercial carpet cleaning, don't panic - we will guarantee your bond back 100%. 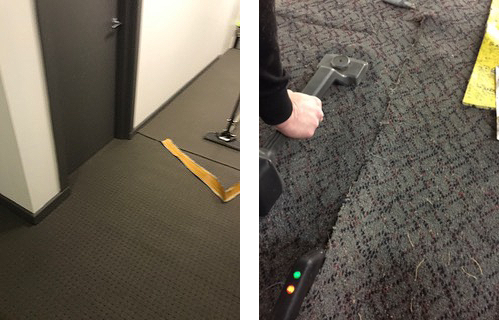 For heavily stained office carpet, we use two machines to clean the carpets deep down. We first pre spray the carpet, then use our rotary scrubber machine to scrub the carpet to get deep inside the carpet and remove stains. Then we go over it with our steam cleaning machine, rinse, and the carpet normally dries within 2 - 4 hours. We repair carpets in commercial premises so you can vacate with peace of mind. 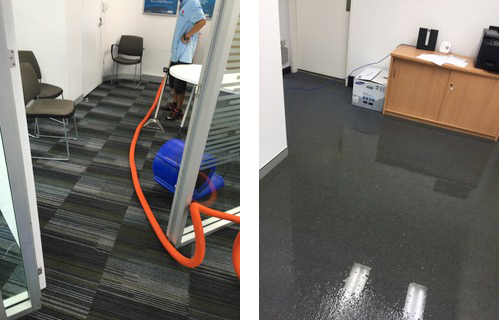 Experts in Steam Cleaning office carpets across Sydney. We respond 24/7 to emergency water damaged carpets. We remove stains, dust, allergens and pests effectively. Protect your carpets and your staff by having professionally steam cleaned carpets. 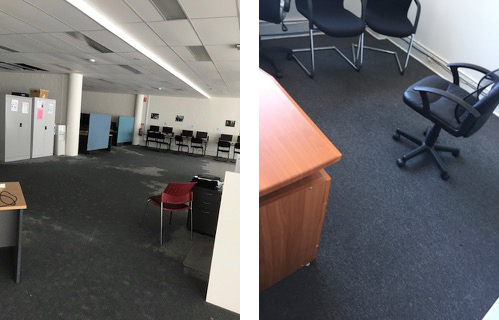 Our technicians have wet vacuum machines, truckmounts and portables for extracting water from wet carpet underlay and wooden floors in your office area. We have air dryers rental for wet carpets and free delivery and setup of dehumidifiers. Call us now on 0488 963 678. Steam carpet cleaning your office carpet is an effective way to remove dust and pests which can contribute to allergies and asthma. 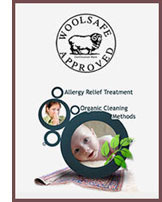 Refresh emergency carpet steam cleaners use safe, biodegradable, non-toxic and non-irritant chemicals and formula. You can expect first class office carpet steam cleaning every time with Refresh Steam Carpet Cleaning. Our technicians are experts in using the Steam Cleaning method on carpets in commercial premises.